MISSION VIEJO – Capistrano Valley scored 21 consecutive points in the second half Friday en route to a 28-20 win Friday against Santiago of Corona in the Division 3 quarterfinals at Capistrano Valley High. The Cougars trailed 17-7 early in the third quarter but figured out a winning formula. The turning point of the game came midway through the third quarter when Cougars defensive end Patrick Griu sacked the Santiago quarterback, forced a fumble and recovered it on the Sharks’ 10-yard line. Two plays after the turnover, Capo Valley quarterback Nathan Manning ran for a 10-yard touchdown to cut the Santiago lead to three. 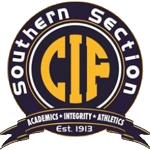 Capo Valley (9-3) will host top-seeded Cajon of San Bernardino in the semifinals on Friday, Nov. 16. After Manning’s touchdown run, the Capo Valley defense forced four consecutive three-and-outs by the Santiago offense. James Giles had double-digit tackles for the Cougars and defensive lineman Juan Carlos Saldivar had three sacks. Capo Valley took its first lead of the game late in the third quarter. The Cougars brought in multiple big defensive players to set up a full house backfield and running back De’Andre LeNard ran for a touchdown to give the Cougars a 21-17 lead. 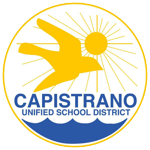 Early in the fourth quarter, Capo Valley faced fourth-and-9 from the Santiago 32. Manning scrambled and completed a pass to a diving Tommy Dickman for a 24-yard gain to give the Cougars a first down inside the 10. Dylan Flynn rushed for a 5-yard touchdown to extend the Capo lead to 11. The Cougars’ offense converted three of four fourth-down attempts which proved to be critical. Manning converted two of those fourth downs by extending plays with his legs and giving his receivers time to get open. Manning completed 23 of 38 passes for 283 yards. Santiago (7-5) moved the ball well on the ground in the first half and made a handful of big plays in the passing game. Receiver Jackson Kurtz caught four passes for 102 yards and a touchdown and running back Vincent Pacleb rushed for 72 yards on 17 carries with a touchdown. Marcus Nesby had an interception for the Sharks and kicker Kameron Tiedt made two field goals.